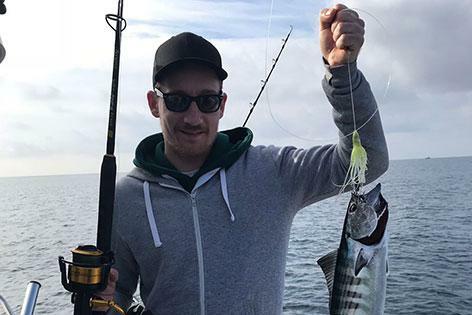 Whether you are a beginner or an experienced fisherman, a day out exploring the waters of the Atlantic Ocean is great for every one. 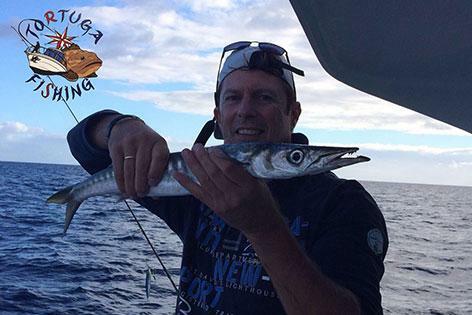 Our experienced crew will take you out and you can trawl for big game fish such as Dorado, Tuna, Blue Marlin and Wahoo... and then we stop for bottom fishing for local varieties and shark. 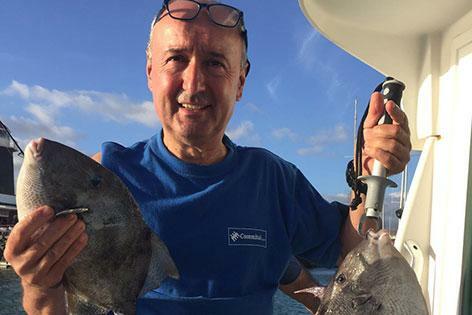 The captain of the boat, loves what he is doing and the clients too. 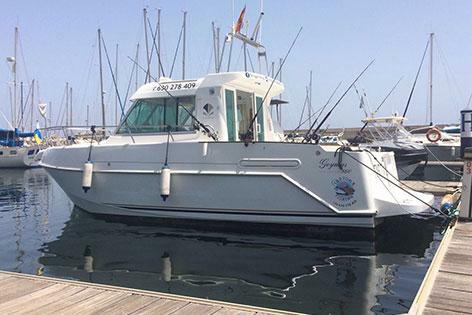 The comfortable boat is ideal to offer the best conditions for fishing trips and coast excursions where you can explore the nicest beaches on Lanzarote and with luck see dolphins, turtles, flying fish and even small whales. 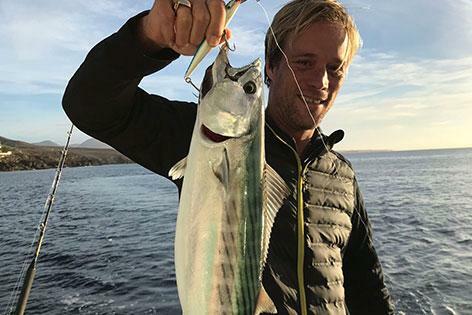 We go out fishing throughout the year, particularly fishing Marlin, whose season is from June to November, the Greater Amberjack during the summer, autumn and part of the winter, the Wahoo during the summer and autumn and Tuna during the month of February and March. The tours always start from Puerto Calero with pick up from all resorts. 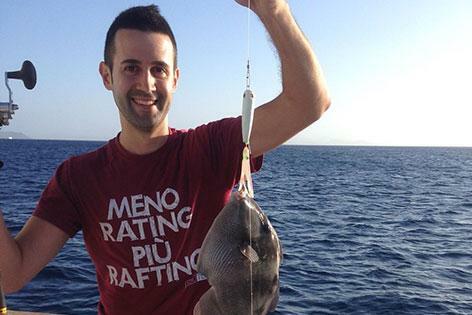 To offer you the best service the tours are limited to 7 fishermen.